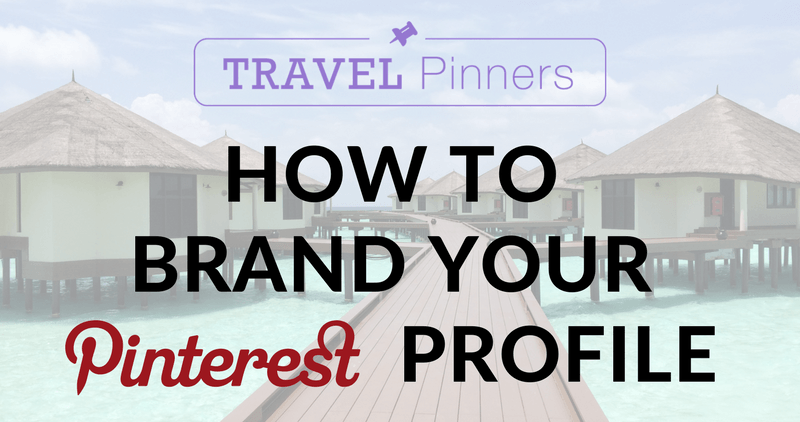 You want to promote your travel business using Pinterest. You probably already have an idea about your brand style and maybe have a style guide including the types of images, colors, fonts, and tone of your website and social media presence. All of this information is exactly what you want to draw upon when establishing a Pinterest profile that is cohesive with your brand style and messaging. By implementing a fluid theme throughout your Pinterest, people who land on your profile, whether via your website’s Pinterest button or clicking through from their Pinterest home feed, will automatically understand what your travel brand stands for. 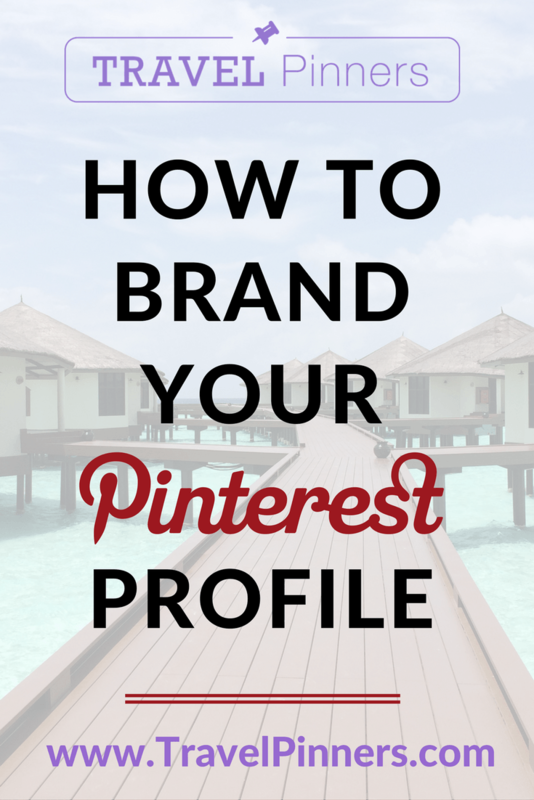 Here are some tips and tricks for creating a united front on your Pinterest profile. For every board on your profile, you can choose one of the board’s pins to appear as the bigger image that represents the boards ‘cover’. I recommend making custom board covers for each of your boards using a design tool like Canva or PicMonkey. You’ll then upload the graphic as a pin to the board, before selecting it as the board’s cover. In your preferred graphic design tool, create a graphic with custom dimensions of 425×425 pixels). Then you can upload the pin, add the board’s link as the pin’s backlink, and use the board’s description for the pin’s description. Then set the board cover as that pin in the board settings. If you want to go the extra mile, you can have a matching design for all of your board covers. Custom board covers are effective for telling users what your brand is all about, and they make your profile look unified. For more tips on designing pins, read my blog post about the best practices for pin designs. However, if you’re starting small and don’t want to go this route with your board covers, you can pick a pin from any of your boards to set as the cover, if you feel it reflects your brand or looks nice. If you keep the pins you choose as board covers stylistically consistent with each other, this can have the same cohesive effect on your profile. Board names that all have similar wording tailored to your content are effective for brand fluidity. This means that someone who quickly scans through the boards on your profile will see the cohesion and understand immediately what relevance or value your profile holds. Here is my recent article about optimizing keywords that could help you more with creating powerful board names. The “About Me” section of Pinterest is the quick and easy place for someone to read a short rundown about your travel brand, so you want this to be reflective of the tone and style of your brand. You want to include, in as few words as possible, what you are about: what you do, who you serve, the benefits you offer, and possibly a short link to an opt-in freebie. Pinterest is not just another platform for people to cycle through and share all of their own content. Rather, Pinterest wants to see that you are an authority in your niche. To prove this, you need to combine a mix of your content and other “curated” content. Other content can include things beyond what you create that will still be useful to your target audience, so think of what your audience is interested in and find great pins to share with them. That way users might follow you for the valuable information you convey and come to know, like and trust your travel brand. If you want to take Pinterest seriously, really think about how you want to craft your presence there. This advice is for those looking beyond occasionally posting about their latest blog or offer and genuinely wanting to interact and connect using Pinterest. In order to do this, you want to have a profile in line with your brand where new visitors on Pinterest can understand your value.